In the US young racers spend between 50 and 170 days on snow, in comparison, Australian racers spend between 36 and 45 days on snow. Peak Ski Racing Academy is a program designed for athletes to increase the number of days on snow with a holistic training program that provides structure, challenge and variety. U12 The U12 program is organised to teach fundamental skiing skills and ski racing technique to young athletes. Emphasis is placed on free skiing in all variety of snow and terrain. practicing balance, edging, body position and other essential technical elements, all while learning mountain safety and always having fun. U14 Program emphasises ski racing technique and tactics while continuing to develop basic technical skills. Groups split their time between all-mountain skiing, drills, and gate training. Free-skiing will continue to be a critical avenue for delivery and practice of fundamental skiing skills, and technical development. Athletes will develop the technical and tactical skills of Super G, Giant Slalom, and Slalom. U16 program requires a big commitment from the athletes and features a great deal of individual attention. 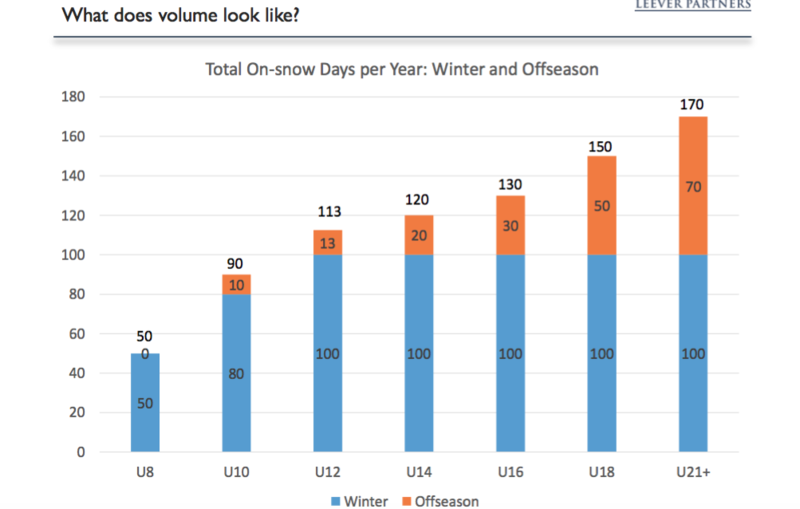 The program represents a time that athletes may achieve major development through regular conditioning, on-snow training, technical discussion, and video analysis. Year-round participation in physical conditioning is expected for U16 athletes and the program conducts physical assessments. At the U16 level the emphasis is on the technical and tactical aspects of all-mountain skiing and racing. The USSA Western Region is one of three USSA regions established under the authority of the USSA Alpine Sport Committee (ASC) and is responsible for the regulation of the sport of Alpine Ski Competition within the geographical area of the Western United States. It consists of the five western divisions; Alaska, Far West, Intermountain, Northern, and Pacific Northwest. Peak Ski Racing Academy will attend relevant races within the Intermountain Division of the USSA. Intermountain covers the area’s of Wyoming, Idaho and Utah. Some of the races are held locally in Park City, SnowBasin, Snowbird, Brighton and a number of races are further away requiring travel and accommodation in other resorts like Jackson, Wyoming and Sun Valley, Idaho. Athletes will require USSA membership to race in the US. Parents can view race results on ‘Live Timing’ as the athletes ski the course. U14 and U16 = 3 race series prior end of season championships.